There are news for PicTapGo for iPhone and PicTapGo HD for iPad: for a limited time you will be able to download both apps for free in the App Store. The iPhone version of PicTapGo was previously $1.99 while the iPad one was $2.99. PictapGo is a photo app by Totally Rad! that is designed to help users get the most of their pictures in a simple and intuitive manner by stacking photographic corrections and filters to create complex effects.. Some of you are probably acquainted with Totally Rad! for their RadLab, a desktop application for photo enhancement that earned a lot of praise from photographers and photo enthusiasts for its ease of use and quick and attractive results. PicTapGo is basically a revised version of RadLab, revamped and fine-tuned especially for mobile platforms. The app allows to process images by adding various adjustments and lens effects to them and by combining these adjustments to create unique recipes that can be saved and collected for further use. If you liked RadLab, this is definitely a must-have. If you don’t know about the desktop app, you can still enjoy the mobile version to beautify your photos. 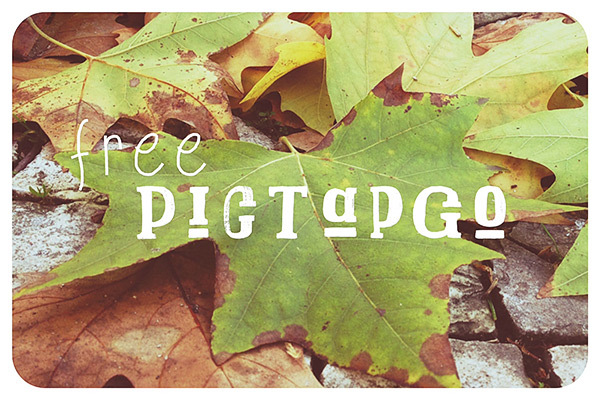 You can get your free PicTapGo and PicTapGo HD from the following links. Tagged as: free download, PicTapGo, Totally Rad!